Disclosure: I received a product sample, coupon, collateral or other special premium from BzzAgent. However all opinions are mine. At the beginning of the new year I insisted that I needed to do a detox so that my body could be rejuvenated. I started doing my research for cold press juices but never really got around to doing it. 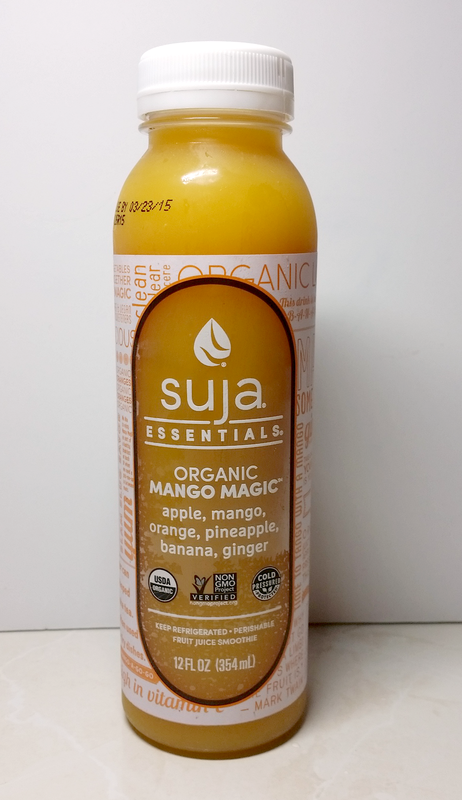 A brand I had been looking at was Suja and fortunately I was given the opportunity to try the product recently. Suja (meaning long, beautiful life) was founded by four people (Annie, Eric, James and Jeff) in San Diego who intended to have their juice embody their brand. They intended to have a juice on the market that is NON GMO and has the best organic quality on the market. They offer three lines of their juice: Suja Essentials, Suja Elements and Suja Classic. I have always been weary of cold press juices, more so for the taste. I have had some that are totally horrible to drink. Thick, tasting like dirt and I have to force myself to take three sips of it. Suja is totally the opposite. Please note I did not do the cleanse at this time. I simply just went to my local Target and bought the juices (Suja Essentials) off the counter. Suja makes you forget that you are drinking something that is supposedly good for you first. The texture is that of a juice, and though you do get some after tastes with some of the flavors, surely it is not enough for you to put it down and stop drinking. Suja prices range from $3.99 to about $4.10 the highest in some places. I was only able to find them in Target and Whole foods. When I really needed a pick me up in the day, or did not want to eat junk food in between meals I easily grabbed one of my juices to tide me over. So far I especially like the Mango Magic. It's a refreshing drink that has a little ginger after taste that I love. Another flavor that I shockingly liked was the Midday Thrive. This is a green juice that is worth grabbing. I took this during my work day and it surely gave me that extra energy to get through the rest of day. I will surely be incorporating this into my routine a bit more. It's a great grab and go item for healthier options. And it really gives you that fresh juice made from home taste. There are flavorful, full of nutrients and tasty. I will surely be looking at them first when I do decide to do a juice cleanse. Now to convince myself I can live on juice alone for a week! !